Above, corset from the Metropolitan Museum at FIT. 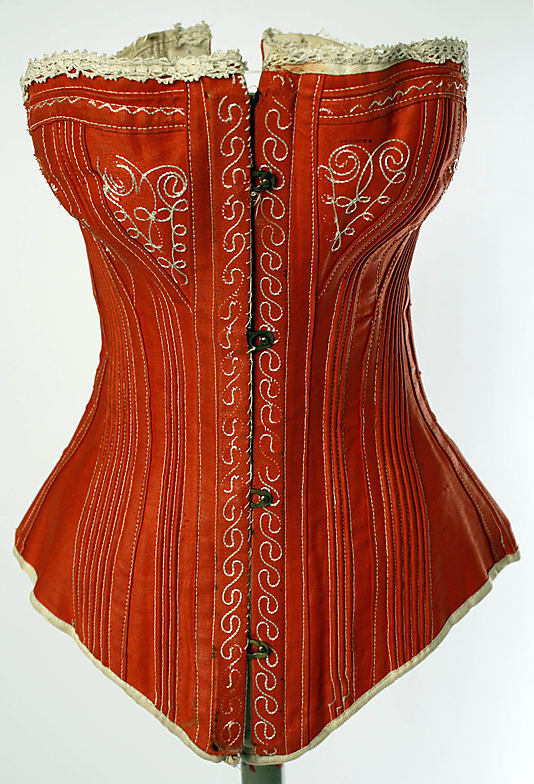 Red wool, silk, steel and whalebone, circa 1880. So, not strictly from Victorine’s time of posing for Manet, but close. Another 1880s corset. From the Metropolitan. 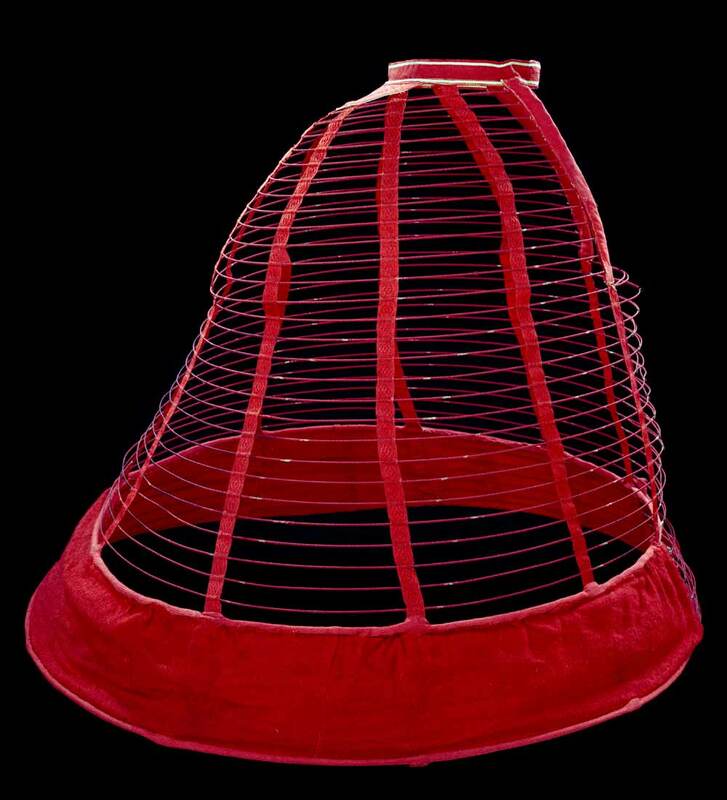 Crinoline cage, 1860. Victoria and Albert Museum. 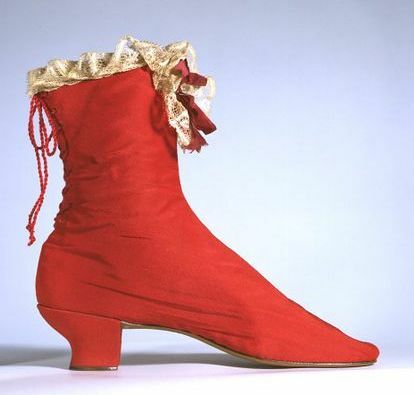 Red silk boots, 1865. Victoria and Albert Museum. Next Post Photos of Victorine?